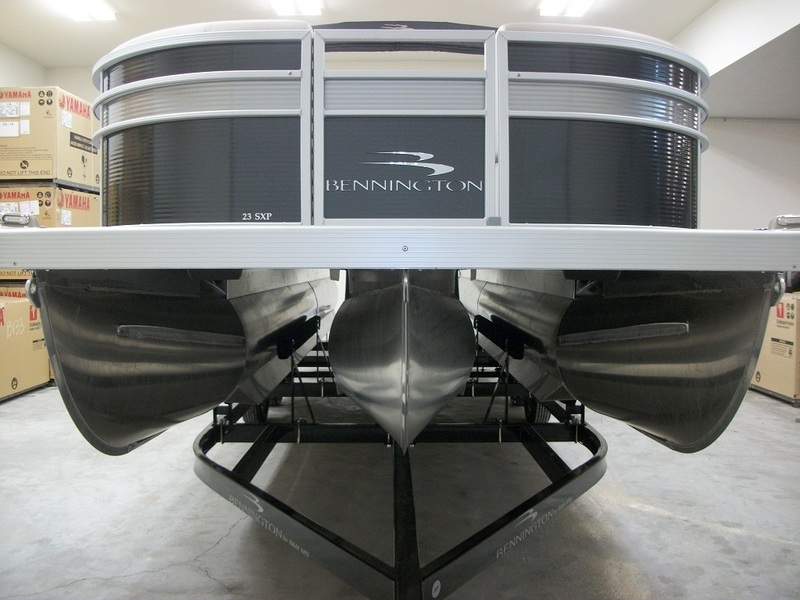 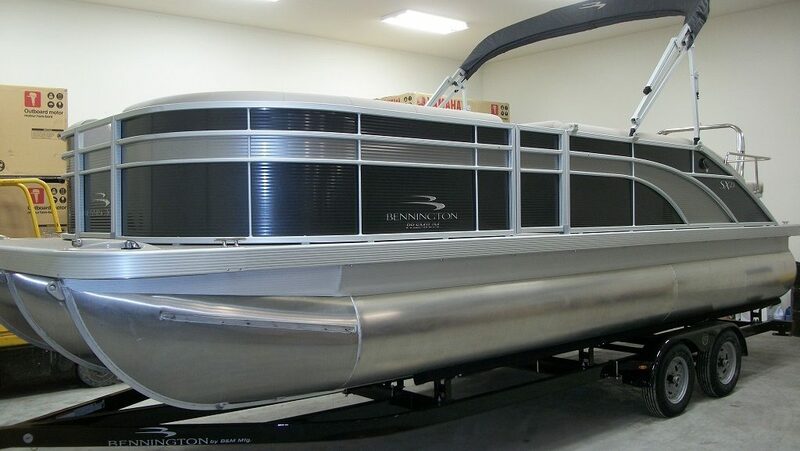 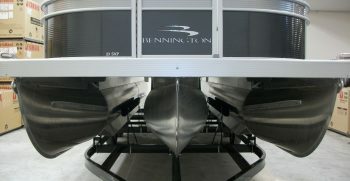 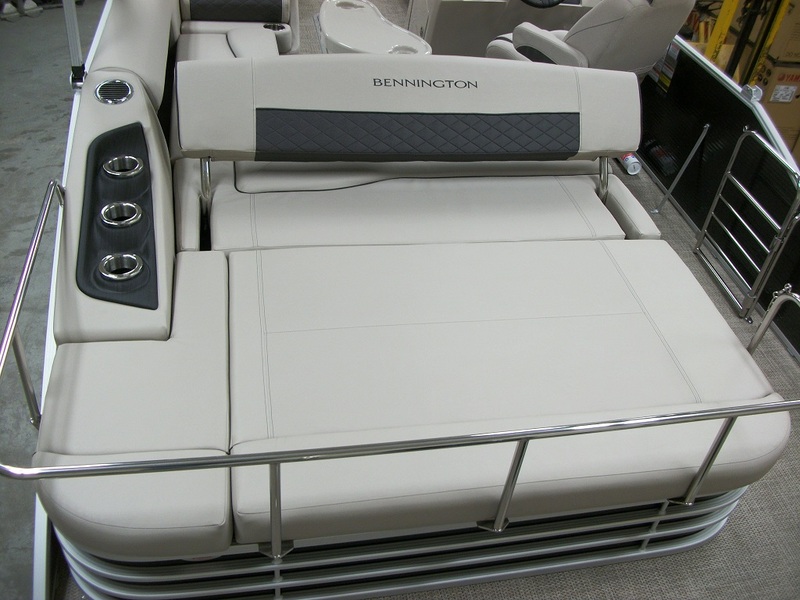 2019 Bennington 23SSBXP Tri-toon. 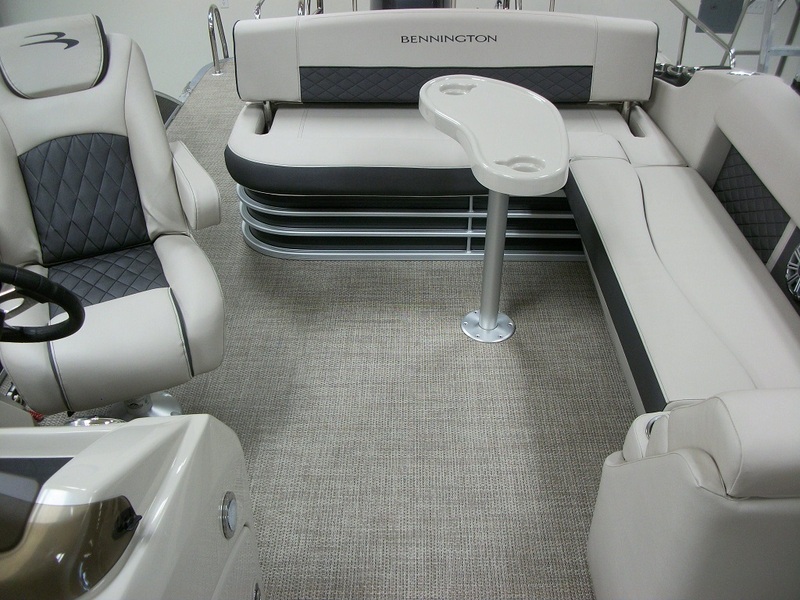 The "Swingback" is Bennington's most popular floorplan. 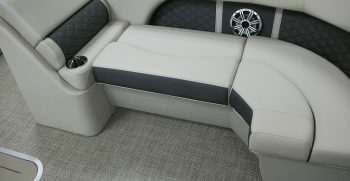 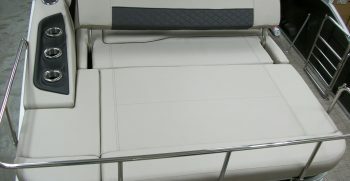 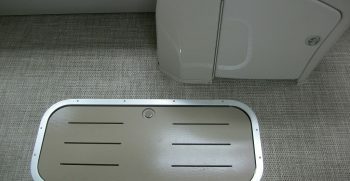 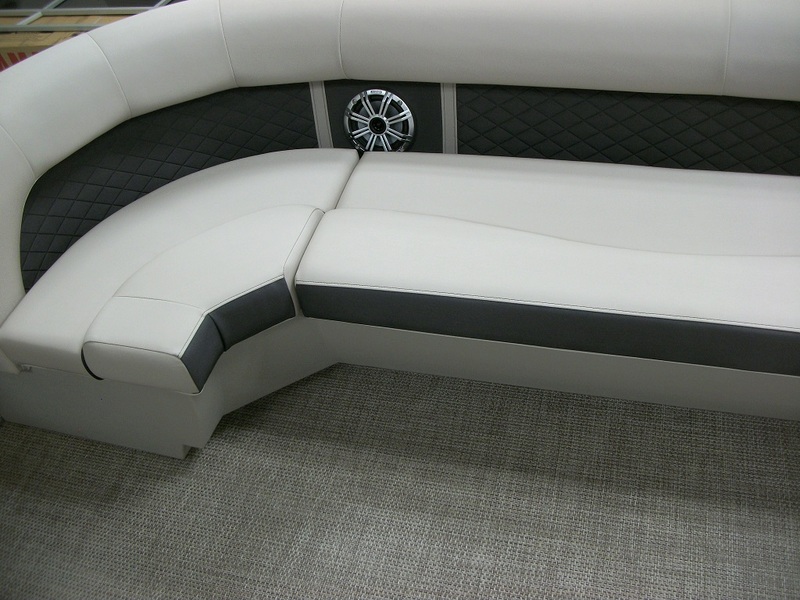 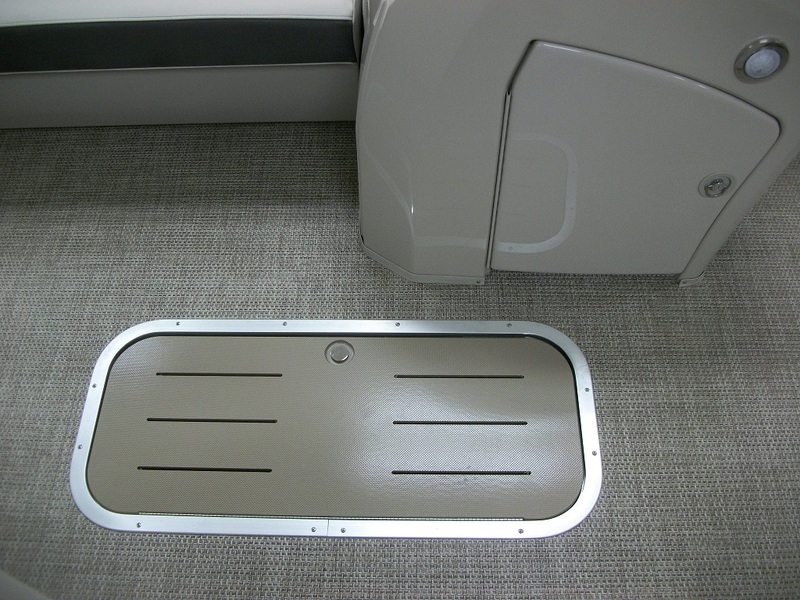 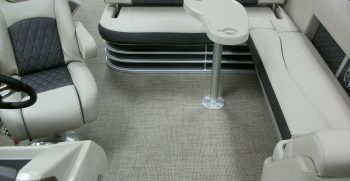 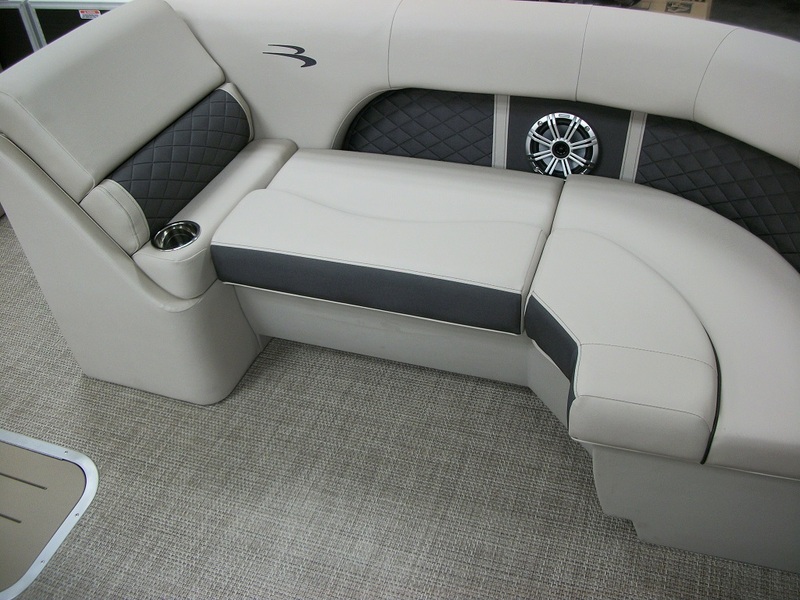 This SX Premium features the luxurious Simtex Pillowtop upholstery and unique furniture and console styling. 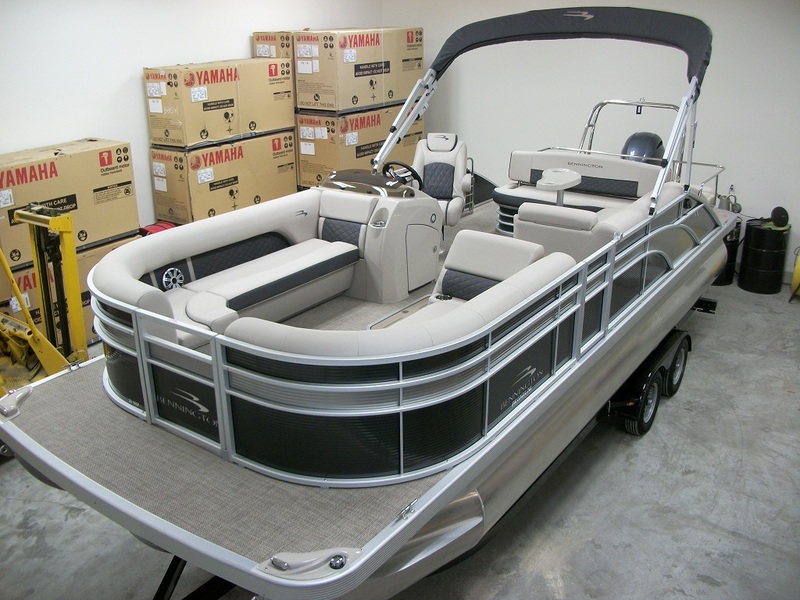 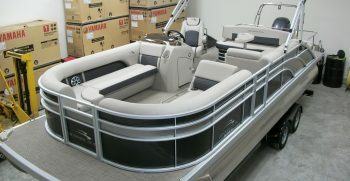 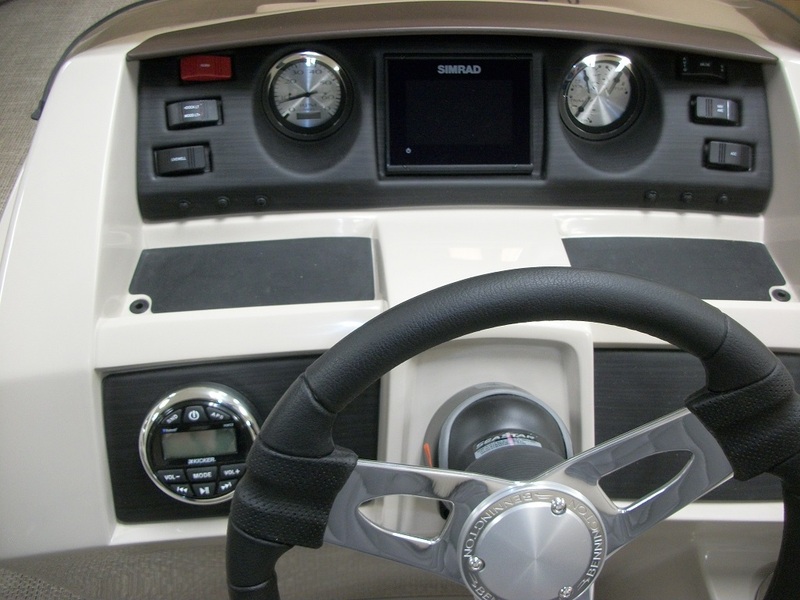 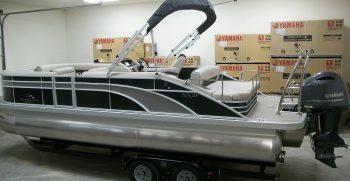 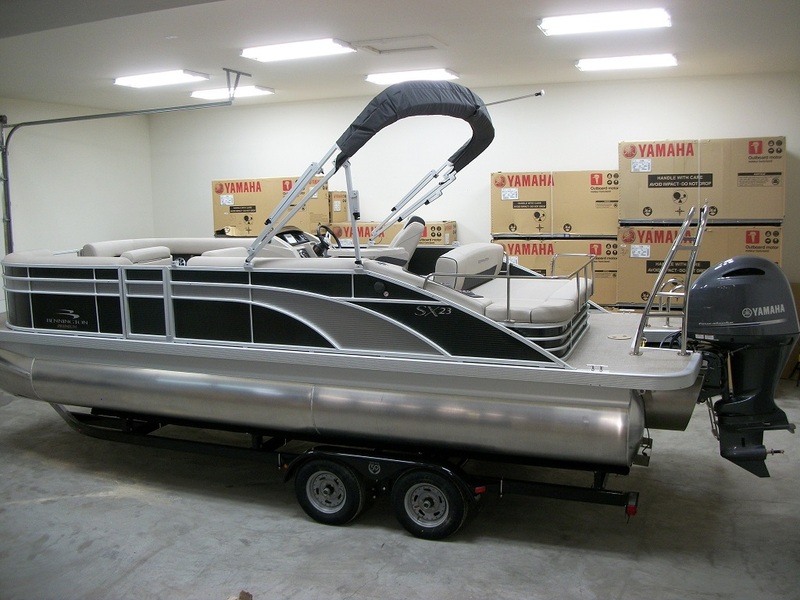 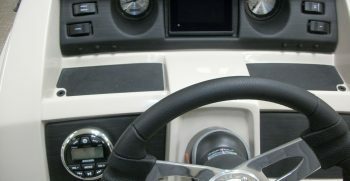 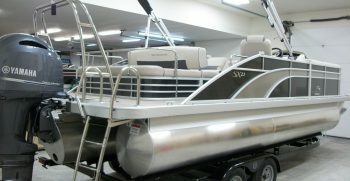 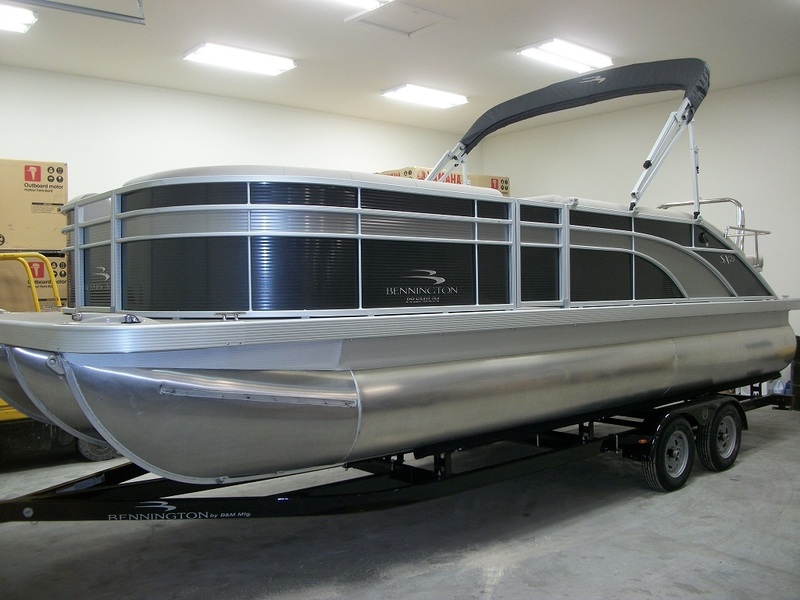 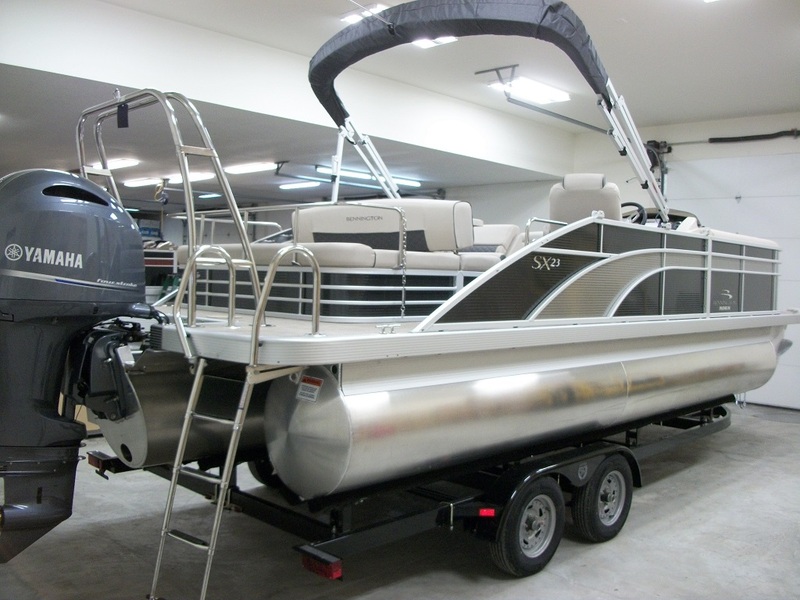 This one has the LED lighted kicker speakers, dual battery with switch, Simrad touchscreen GPS, Sport Performance Plus performance package, power assisted hydraulic steering, in floor ski storage locker, docking lights, and ski tow bar. 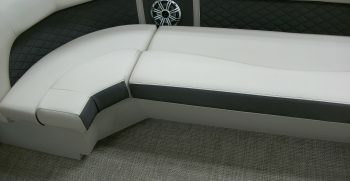 It is finished in the Smokey Granite with new Metallic Silver accent and Smokey Granite canvas.